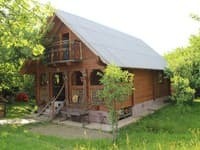 Cottage "Pid Bukovynoyu" is located in the center of Zhdenievo village. 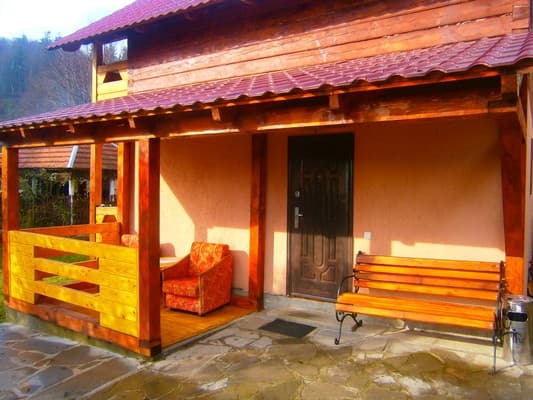 Two-storey cottage is suitable for accommodation of a company of 6 people, consists of 3 rooms. On the first floor there is a kitchen-dining room with a necessary set of dishes, a double room and a bathroom. On the second floor there is a two-room suite and one-room double room. The two-room suite is equipped with a living-room with a sofa and a bedroom with a double bed. All rooms with balcony. For the comfort of the hotel guests there is a 24-hour water supply, as well as independent heating. In the house owners are equipped with another two-room suite, with a separate entrance. Guests can relax in the gazebo in the cottage. For an extra charge, you can order a comprehensive meal. For those traveling by car, there is a free guarded parking lot. 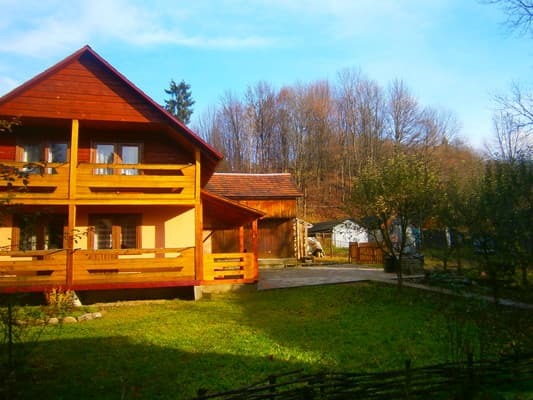 The cottage "Pid Bukovynoyu" is located 7 km from the route Kiev-Lviv-Chop and 1.4 km from the ski slopes. 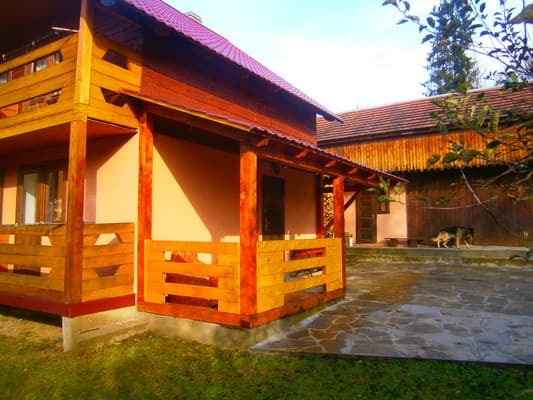 Cottage "Pid Bukovina" is located in the center of the village Zhdeniyevo. 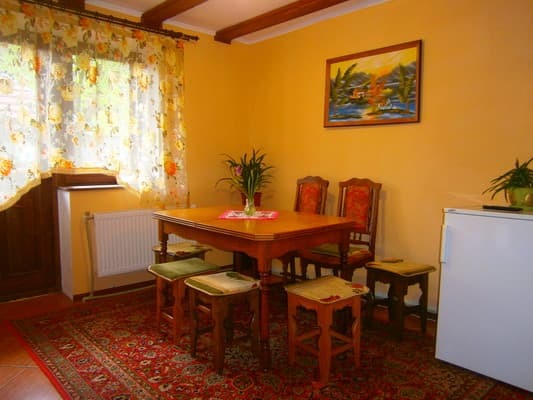 The cottage is located 7 km from the road Kyiv-Lviv-Chop, and 1.4 km from the ski slopes. Train in the direction of Uzhgorod to Volovets station, from there you can order a transfer from the cottage.